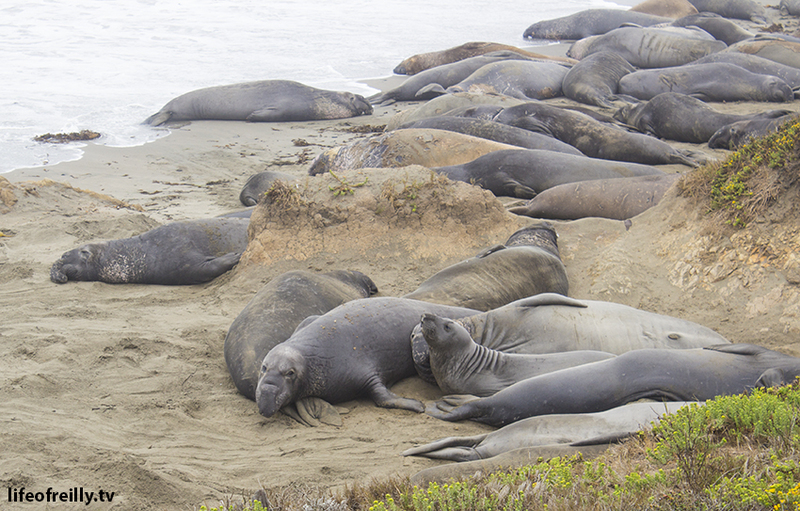 The enormous elephant seals near San Simeon. 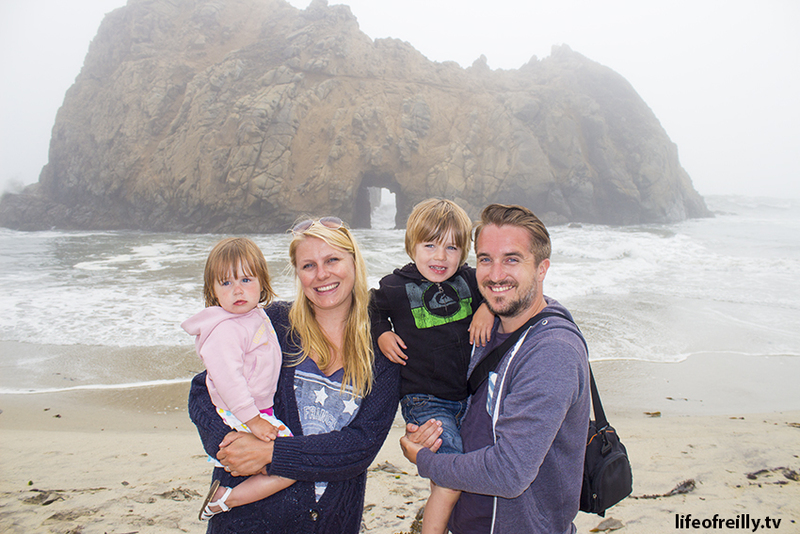 As you’ve just read from our previous post, we’d made it safely down the first stretch of the Pacific Coast Highway – from San Francisco to Big Sur – and we were staying overnight at a hotel/motel in San Simeon. On Day Two, we did the least amount of driving during the whole trip, which was great because we’d spent 12 hours driving the previous day (we drove from Palo Alto to San Francisco before we officially started the Road Trip, which was one of the reasons we started late) and we wanted to give the kids – and us – an easier day. That was the plan but, as you’ll see below, we made a few mistakes! So, again, our timings are on the left but you should use the timings in brackets (full easy-to-read itinerary on the next page). 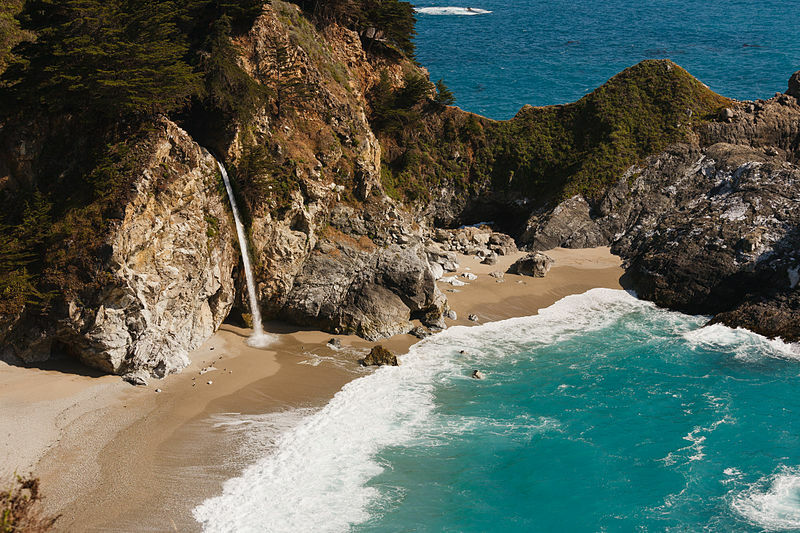 Only on a road trip like this would you find a songwriter using Big Sur as inspiration! Watch Marcos Lopez-Iglesias’ scenic soundtrack for us. Ok, so our hotel in San Simeon was “rustic,” but that was part of its charm and it was this kind of experience that we travelled from England to enjoy. The room was basic, but it was clean and safe. Breakfast was included but don’t expect a huge hotel spread of sausages, eggs and pancakes. There was unlimited cereal and toast, plus packaged English muffins and filter coffee. It was a forgettable breakfast, food-wise, but having a local retired guy welcoming everyone with warm and genuine conversations – plus watching the different types of guests around the room – it was actually a very fun meal. After some food, we wanted to see how close to the ocean we’d been sleeping. Sure enough, we crossed one small road and were looking out to the Pacific. It was a special place, but it felt even more special with the soundtrack from the man on the bench next to us. A tall, tanned middle-aged man was strumming a very cool melody on his guitar. 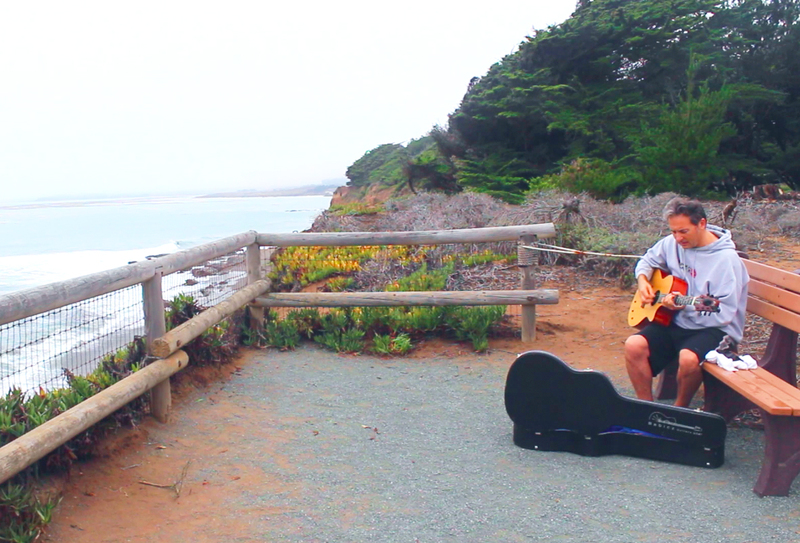 The lyrics were also really catchy – and he had the look of a famous musician – so I asked him why he was playing his guitar at 9am on a bench in Big Sur. It turned out that we’d stumbled across a fellow Brit who’d moved to LA after touring Europe for many years with his own band. Marcos Lopez-Iglasias was a drummer for ex-Kajagoogoo star, Limahl, and even Duran Duran! He told us that he loved coming to Big Sur to write music and that he was working on a new album! I asked him if he could play us a bit more of his new song. We all shared a special few minutes listening to a brand new song coming into the world, next to the ocean in Big Sur. It’s these moments that you would only have on a Road Trip. AMAZING!! Watch his impromptu gig for us, above! Hearst Castle is a beautiful hill-top hideaway that was the home of William Randolph Hearst, the famous newspaper publisher of the late 1800s. You may not have heard of him but you’ll definitely know the brands which bear his name today: ESPN, Cosmopolitan, Esquire and Elle are just a few of the major media outlets that he would own today, if he was still alive. Living in England, surrounded by lots of medieval castles, I wasn’t sure if I would really want to visit a “new-money” mansion that was only completed in 1947. After browsing online, the pictures of the outside swimming pool won me over, plus the fact that it looked like an interesting attraction in the middle of nowhere. It was 9.30am and jumped into the car to go to the castle. This was mistake number one for the day! I saw all of the warnings about booking Hearst Castle ahead of time on their website but I didn’t think it would really get booked up! 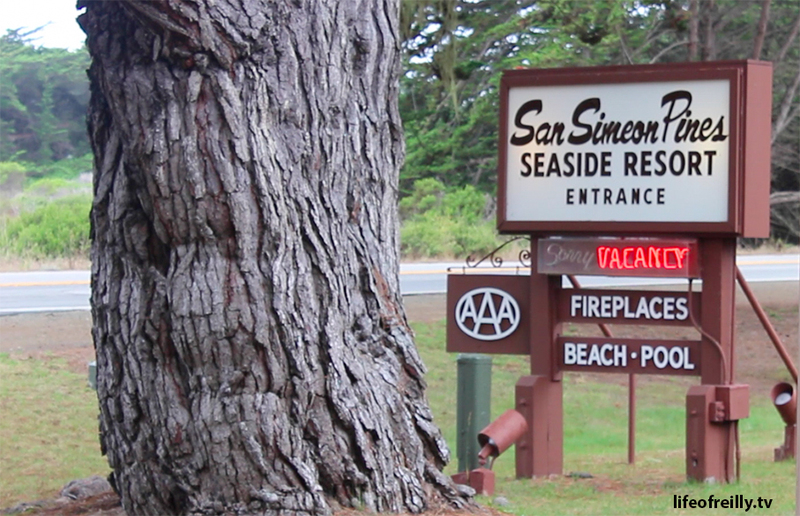 We were also going to book it the night before but there wasn’t any wifi or 3G near our hotel in San Simeon. We turned up at the castle at 10am only to find all of the early tours had gone. The earliest of the general tours that we could get was at midday – we couldn’t wait around to do that! So, we went for an 11.30am tour of the cottages, which didn’t sound great but it gave us access to the grounds and it would be fun to go there, still. 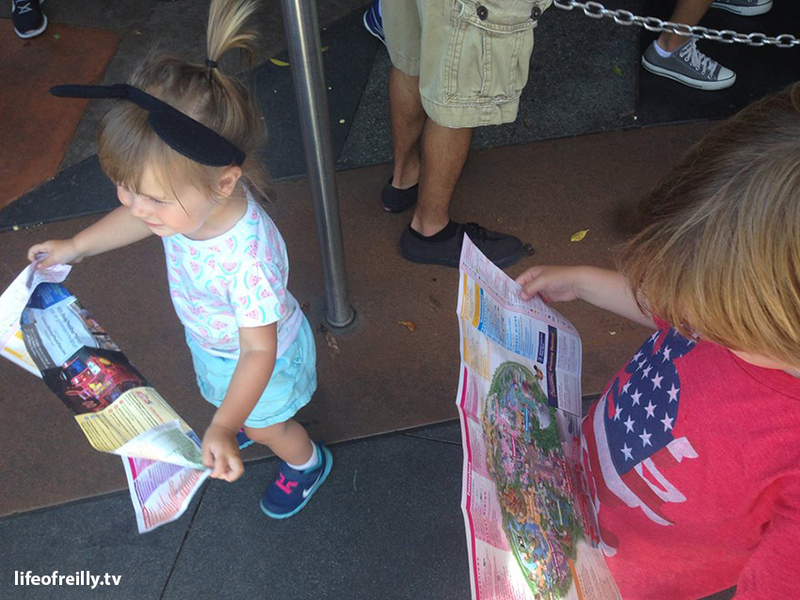 As soon as the tour started though, we were hooked! The excitement builds as you sit on the coach up to the castle and you hear the history – and the many and varied famous guests that visited Hearst, here – while you wind your way up to the property. When you arrive at the top, the hot Californian sun returns and you can immediately see the detail – and money – that went into this public show of wealth and opulence (even the tiles on the stairs tell their own stories). It feels like a real-life Great Gatsby. The Neptune and Roman Pools are something to behold. I kept on thinking about what it must have been like here, in its heyday: Clark Gable and Greta Garbo partying with Charlie Chaplin and Buster Keaton. The “cottages” on our tour were more like mansions: decorated in gold leaf, with sea views and . It was here that Hearst’s “wife” lived, away from his mistresses. Winston Churchill and George Bernard Shaw also stayed in the cottages when they visited. This is classed as a “cottage” at Hearst Castle. Winston Churchill stayed in one when he visited! Anyway, I could write an article just about Hearst Castle. Add it to your itinerary! The kids were pretty good but didn’t appreciate any of the tour, plus away from the coastal fog it gets pretty hot up on the hill. Dylan had a couple of melt-downs due to the heat, lack of water and boredom. He enjoyed walking around the grounds, though. On your way down in the bus, make sure you check out the empty zoo cages that Hearst had filled with animals, and as your drive south to Cambria, look left and see if you can spot any of the zebra that were released. There are more than you think! Elephant seals at Piedras Blancas near San Simeon. As we had an hour to wait for our tour, we swapped things around and went to see the Elephant Seals before heading up to Hearst Castle. They’re just ten minutes north of San Simeon at Piedras Blancas so, whatever direction you’re travelling, it’s just a minor detour. Turn right out of the castle onto Route One and you’ll see the Elephant Seal car park on the left hand side. It’s a very busy car park, and attraction, but people only stay for 10-15 minutes so it’s constantly moving so you should find a spot. You may have seen the odd seal during your trip already – on a rock or in the ocean – but you won’t have seen this many and certainly not this many so close up. They’re a great way to see some unusual wildlife close-up – and they’re a great final memory of rural Big Sur because every mile south from here, is another mile closer to reality. The ruggedness of Northern California begins to make way for the hot, desert climate of Southern California with every mile. We tried to take in the pretty little towns that we passed (Harmony, Cayucos and Morro Bay) but we were in a bit of a rush (again!! ), so didn’t stop. When you hit San Luis Obispo (SLO to locals) it feels as though you’re firmly back in reality, which is good and bad, of course. We hit rush hour for the first time in a what felt like a week. Traffic picks up again as you’re forced onto Highway 101. A waitress told us to stop off at a place called the Madonna Inn with the promise of a very special toilet break. We pulled up to, what looked like, a 1950s Vegas motel. Go left when you walk through the main entrance and go down the stairs into the men’s toilet, which looks like a cave!! When you step in to take a pee, water cascades down the rock-face and washes everything below, away. We were one of “those” people that stopped just to experience the bathroom but we wished we knew about it earlier as it could’ve been a great place to stay overnight. 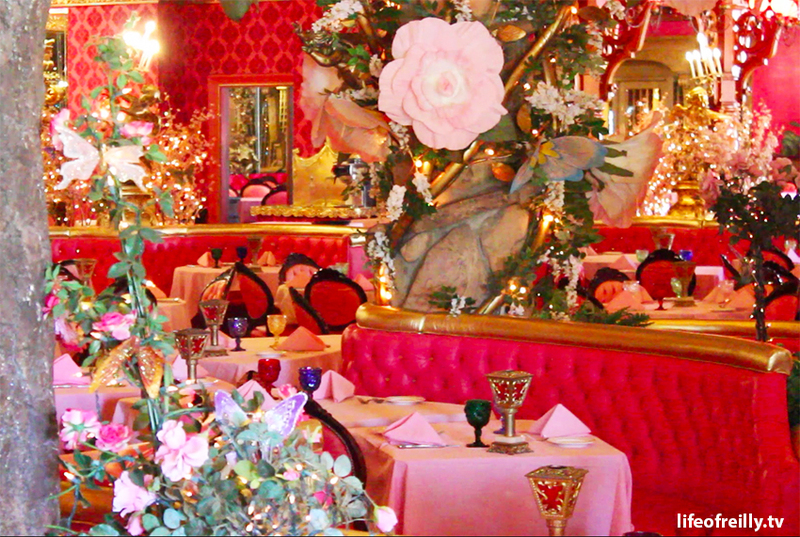 The uber-kitsch Madonna Inn and a taste of some of its furnishings! The dining room was more kitsch than the Eurovision Song Contest and all of the 109 rooms are uniquely decorated: yes, the cave room is just like the Flintstones where you’ll literally shower in a waterfall; sleep in a room decorated as though you’re staying in the Alps; or maybe you’ve always wanted to stay in a bed with wagon wheels? There’s a fun room for anyone. Take a look at this link! This should definitely be on your list for a place to stay on your Road Trip, if you can make it all the way to San Luis Obispo from San Francisco in one day, or you choose to split it up and make it a four-day holiday. 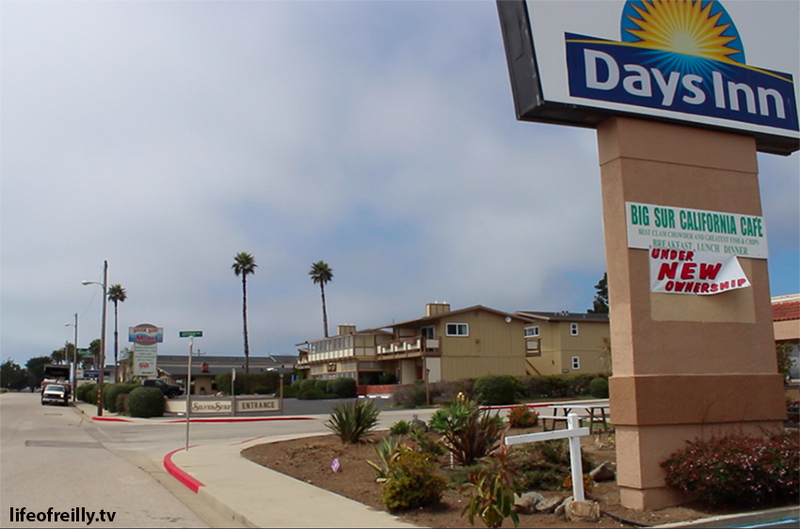 When you leave San Luis Opismo, you’ll have the choice of staying on the 101 or rejoining Route 1 at Pismo Beach. We jumped back on the Pacific Coast Highway until just before Lompoc to make our way to Solvang on the 246. We were glad we did – it was a beautiful drive through Guadalupe with its’ mix of flat, lush strawberry fields, then a steep climb, before descending down to another huge sea of green, on both sides of the car. It’s another reminder of how varied the climate and landscape is on this special road: today, the harsh mountain-sides have transformed into lush agriculture and tomorrow we’ll head further south into the arid desert. Why did we decide to come off Route 1 for Solvang? 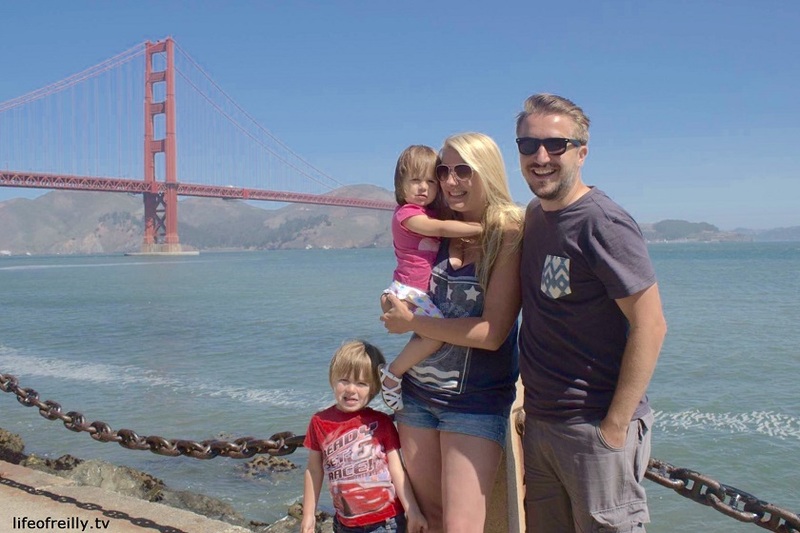 Well, this Road Trip is all about finding new places and experiences and we loved the idea of visiting a mini-Denmark that’s been built in the middle of California. The city was founded in 1911 by Danish immigrants (surprise, surprise) who wanted to create their own colony. A Danish speaking school was built three years later and their idea of creating a mini-Denmark went a step further in the 1940s when one of the town’s developers built his home in the style of his homeland. The Danish Village concept grew and, now, much of the city looks as though it’s been picked up from cold Copenhagen and dropped into sunny California. In fact, Solvang has the most windmills (five) within two square miles, outside of Denmark! 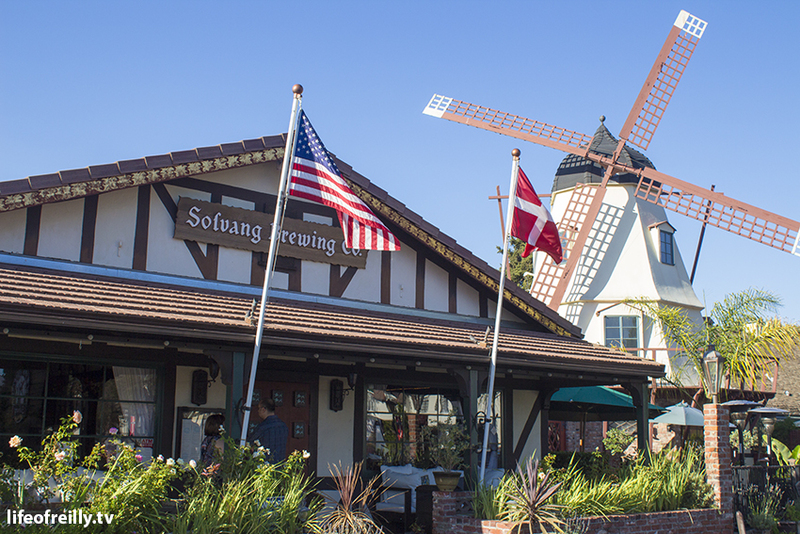 Solvang is a place like no other in California. It’s the complete opposite of what you would expect to see on the Pacific Coast Highway! It’s a great atmosphere as you drive through Solvang. The architecture makes the city feel different immediately. It does feel like you’re in a Danish Disneyland with the cartoon-like facades but all of the shops sell real Danish goods and are owned by people of Danish heritage. It was great fun wandering past the windmills and taking photos on the ‘olde world’ street corners but the best part was picking out a delicious Danish pastry – from the hundreds on display – and enjoying a very unique Californian/Danish pit-stop. If Solvang doesn’t appeal to you, you are also in one of California’s famous wine regions. This is the region where Sideways was filmed (I still haven’t seen it, but heard so much about it. One day!) so why not do some wine-tasting instead? We stayed in Solvang for just under an hour and left at 6.35pm. If you did the same, with the timings above, you’d be leaving Solvang an hour earlier which is much better. Head towards the 101 and you’ll soon be back on Route One, flying down to Santa Barbara. We wanted to make the trip extra special and chose not to stay in a regular Best Western or “normal” hotel in the city. One place, which was recommended by my boss at ITV (thanks Robin), was a glamping site with its own private beach just outside of Santa Barbara in a place called Goleta. Now, I’ve had some bad experiences of camping in the UK. I hate it! Sure, I like nature but do we have to sleep rough to experience it?! So, El Capitan Canyon is my perfect camping ground, with its own swimming pool, spa and every home comfort! You can choose to have a yurt or a log cabin – both have real beds and electricity!! The site also has: movie nights, at its own open-air cinema; stargazing talks with a local astronomer; wine tasting with samples from the wine region you’ve just driven through; plus loads of other activities including yoga, hikes and fun, runs. 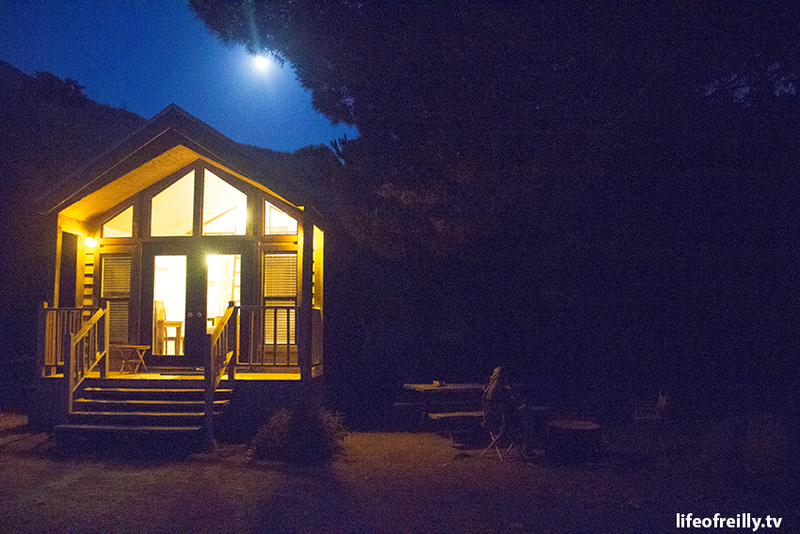 Our cabin at the El Capitan Canyon camping resort and spa! All of the fun of camping with all of your home comforts! We went for a Queen Cabin with a kitchen and shower, which was $245 (£170). I justified the high price as being a part of our trip of a lifetime and also the fact that all hotels/motels on Route One seem to be over-priced, anyway. It was a fab experience. We arrived and un-packed just in time to get dinner in the Canyon Market, which closes at 8pm so be warned! It was there I was able to get wifi for the first time since San Francisco and was able to pay the Golden Gate Bridge toll! Every pitch has its own fire pit which you can cook on. They sell wood and fire-starters, plus over-priced barbecue kits which start at $65 for burgers and $77 for steak (they do include enough meat for four though, plus salad, garlic bread, drinks and s’mores – and firewood, cutlery and plates). 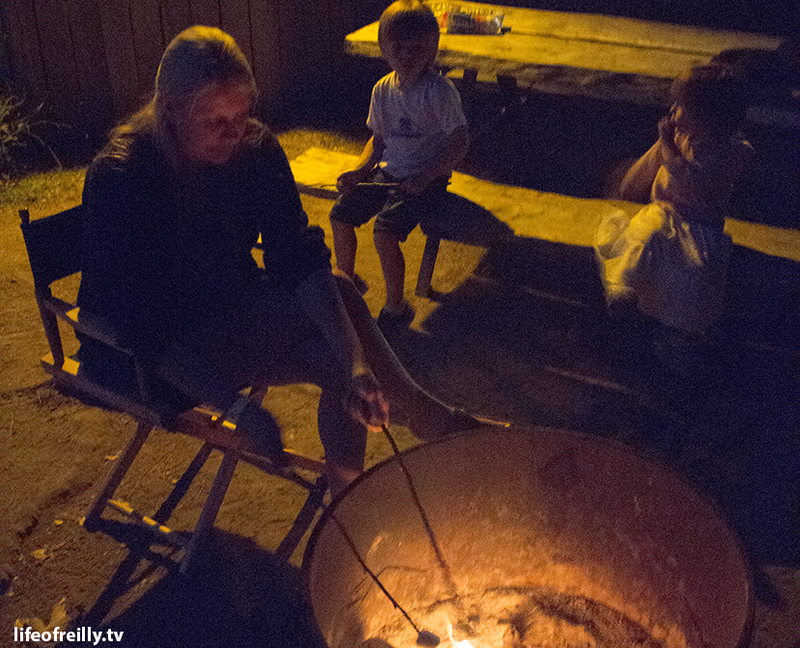 Cooking marshmallows on the fire pit outside our cabin at El Capitan Canyon! We were cheap (Really? Us?!) and bought some firewood, marshmallows and beer. We sat out watching deer run past us, while talking about all of the animals that might be near the site. It would be great to have spent a couple of nights here to explore the canyon properly but we had to get back on the road the quite early the next day. The boys went up into the loft to sleep (we didn’t trust Dylan up there by himself quite yet – and the ladder was really steep), while the girls took the California King bed!! Click here to read about our third and final day of the Road Trip: from Santa Barbara to San Diego. It’s also where you can find our full itinerary in one handy spot. We’ve now made it down Highway One into Southern California, after starting in San Francisco, winding our way through Big Sur and staying in San Simeon!! Click here, if you missed that part. We then went from San Simeon, via San Luis Opismo and Solvang to reach Santa Barbara – you’ve guessed it, hit the link if you want to read that page. Now onto the third and final day of our trip along the Pacific Coast Highway: Santa Barbara to San Diego!! We left late every morning. Don’t do that. Leave on time or leave early!!! Ok, we really couldn’t leave on time, whatever day it was! We were aiming for 10am but still left half an hour late. It was Alicia’s birthday though, so we treated ourselves to a relaxing breakfast at the Canyon Market! We had a great night’s sleep. It was lovely to wake up in the middle of nowhere but still be able to charge our phones and have a shower without leaving our lodge. The lodge is quite basic but it has everything you need, including an alarm clock, microwave and those little toiletries that you usually get in a hotel. You could probably leave at 10am and make it to San Diego in good time but we’d suggest leaving at 9.30am (or earlier) so that you don’t feel rushed. 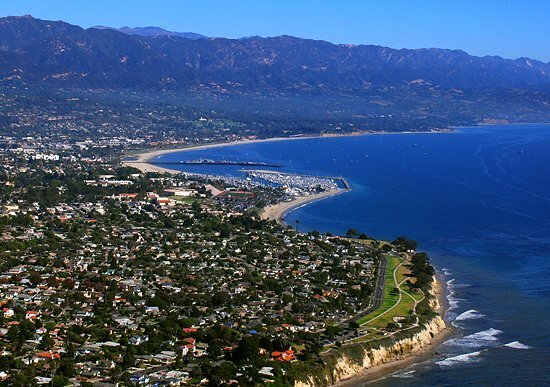 Santa Barbara is a beautiful city – and there’s lots to do, including its famous zoo – but we didn’t stop there as wanted to get some miles under our belts before we stopped again. 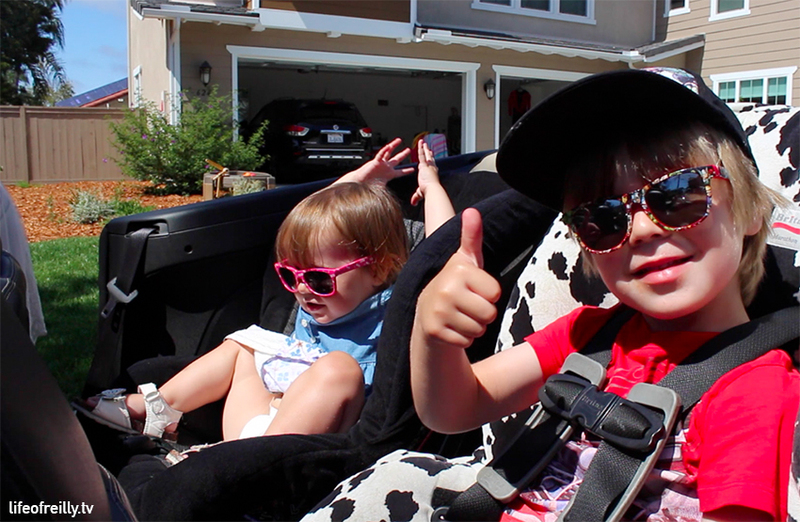 As it was our last day with the car, we wrapped the kids up in the back, slapped on some sun-screen and got the top down on the convertible straight away! Route One out of Santa Barbara is also Highway 101 which, by this point, we’d learned meant it was a normal three-lane road and not the road that was winding its way through Big Sur a few days ago! The Pacific returns into view within half an hour. Here you get a widescreen ocean view, with no mountains or sharp corners to get in the way. Once you pass Oxnard, you can leave the 101 and get back onto the road we all want to be on again! Almost immediately, Highway One gets straight back to business! As you hit Point Magu, you get to see the rugged side of Southern California: what it’s lacking in lush vegetation and crashing waves, it makes up with the dusty, cliff-faces, that will be on your left, and the glistening blue water on your right. The beach houses are worth millions and are where many of the biggest stars live. Photo by BriYYZ on Flickr. 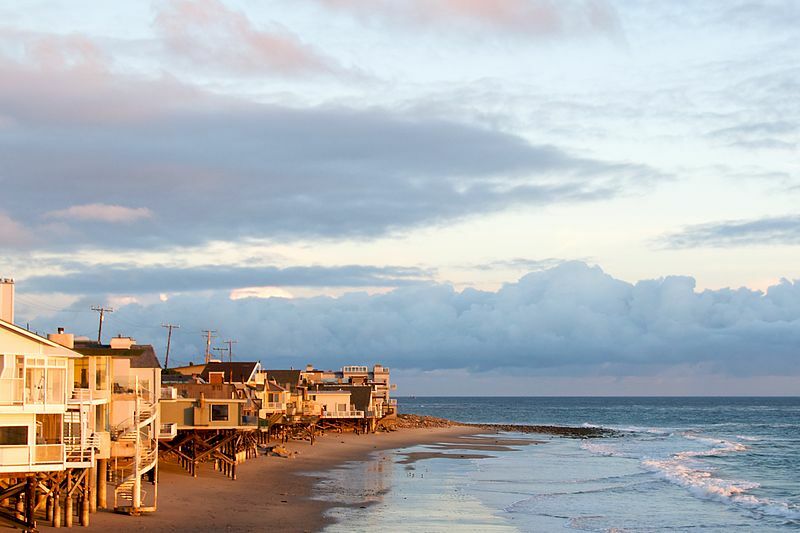 You probably know this already, but you won’t see any famous film stars wandering the streets or buying milk in Hollywood or LA because most of them actually live in Malibu. The small-ish houses – and garages – that you’ll see on your right as you drive through Malibu, are actually worth millions and owned by some very famous people. The general rule is, the more solid the gate, the more famous the person will be (you’ll see more of these before you hit the busy part of Malibu). We were hoping to stop for lunch at one of the beaches in Malibu but the kids were still asleep. By the time we thought we’d wake them up, we saw a sign for a beach called Paradise Cove, which we now know is the place they filmed Lethal Weapon, American Pie and this Britney Spears video, to name a few. They wanted $40 to park there, so I did a U’y and we carried on. In researching this article, I’ve found out that if you spend over $30 in the cafe, you get a rebate and only have to pay $6 for parking. So, it could could be a pretty cool place for you to stop and have lunch! If you want to stop without spending any money, it would’ve been best to pull into one of the lay-bys before you get to downtown Malibu. The side of the road gets busy when there’s access to a beach, so if you spot a space and can pull in safely, go for it! 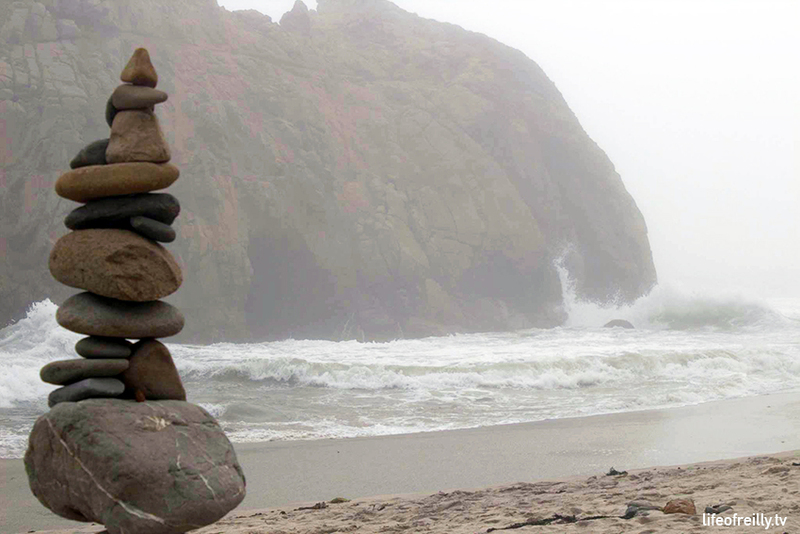 (FYI – The beach scene in Grease – and loads of other movies – were filmed at Leo Carrillo State Park, where you should be able to pull this trick). Want to feel like you’re in a movie and don’t mind a 25min detour? Paramount Ranch is in the hills above Malibu (turn left after Point Dume beach) which is where some of the biggest films of the 1920s were filmed. 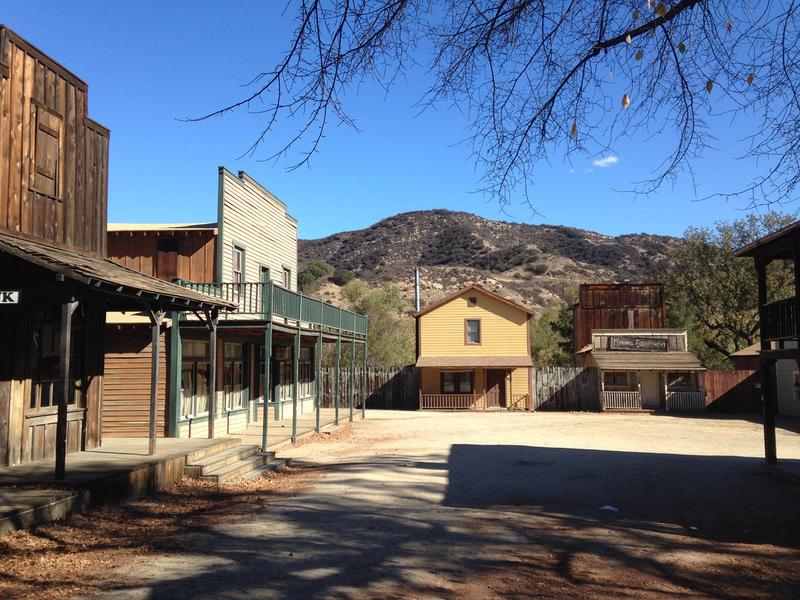 Today, you can visit the Old Western Town, which was used in Dr Quinn Medicine Woman but the ranch has recently been used as a location, more recently, in American Sniper, Van Helsing, The X-Files, Scream and…Norbit (somehow, not that I’ve seen it but it does seem strange). It has free parking and picnic tables, so this could work for you. 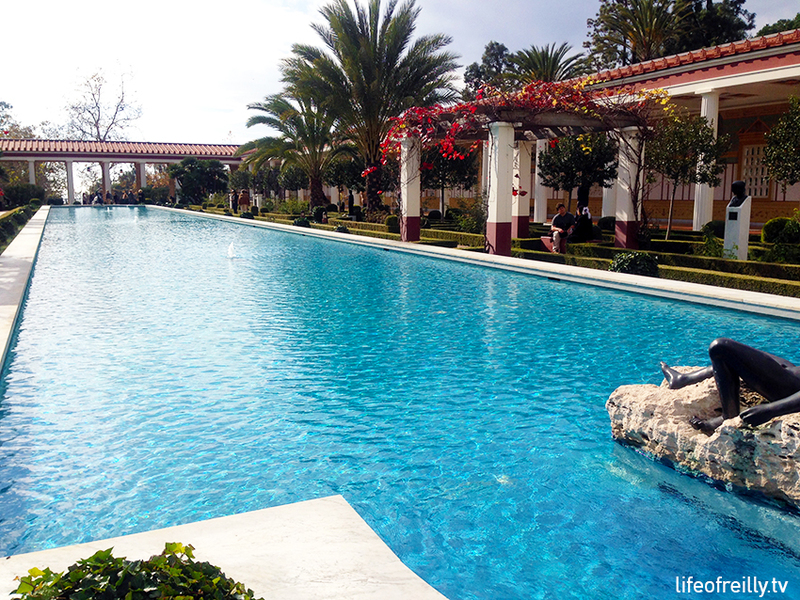 The Getty Villa is a great place to stop for a bit of culture (and lunch) in Malibu. If you want some culture, The Getty Villa is a great place to stop. 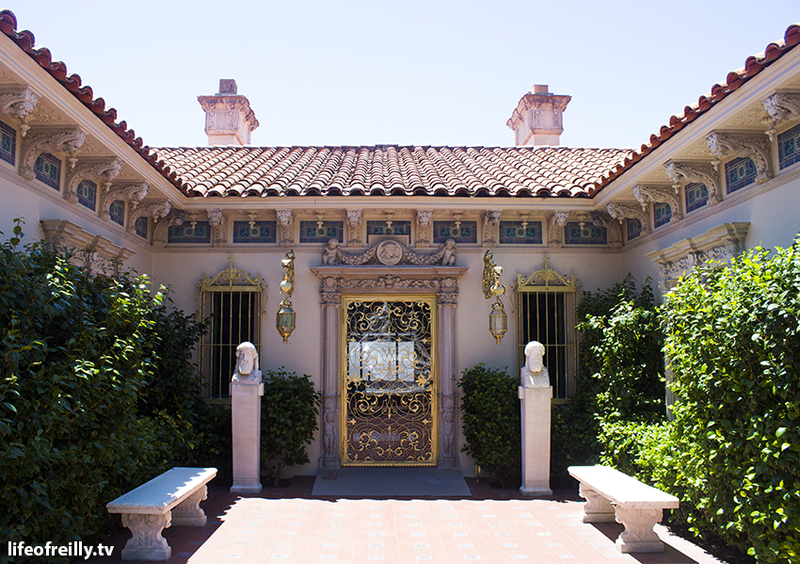 You’ve already seen what one rich American tycoon can build – up at Hearst Castle – why not visit the property which Jean-Paul Getty made, to house his Greek and Roman collections?! It’s been built in the style of a Roman villa and it’s simply stunning. I found the Roman architecture and history more interesting and beautiful than most of the antiquities inside it. We went there a few years ago, so it wasn’t on our itinerary for this trip. It’s free to visit but parking is $15. I think we got round it in a couple of hours and you can have lunch there, too. 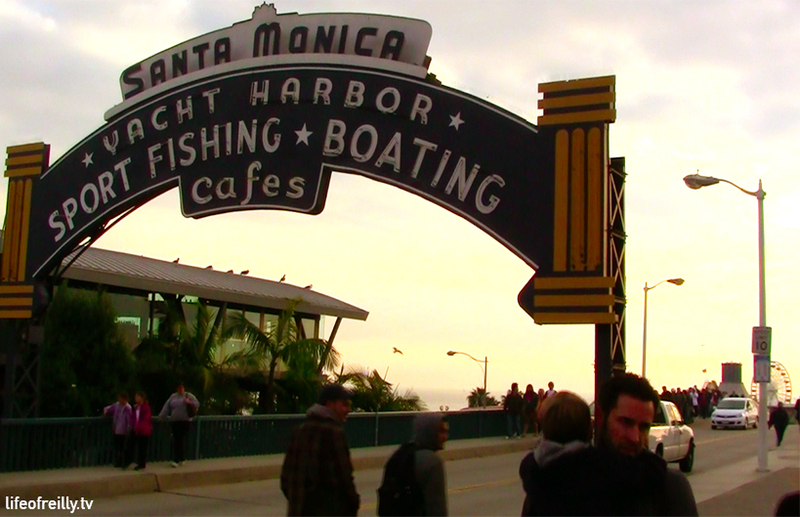 Santa Monica is a great place to stop for lunch or have a wander along the pier. Ok, you will probably have lunch in Malibu but we didn’t so we’ll keep the itinerary going as it happened for us so it doesn’t get too confusing! This is definitely the most urban part of the whole drive. It is Los Angeles, after all, so what did you expect?! You don’t get great views of the ocean for most of this section but you’re only a couple of minutes away from a beach at every moment. As you’re choosing to do Route One, this probably isn’t your first trip to California and you’ve probably already “done” LA so I’m not going to go into all of the things you could do in the city, here. I’ll mention a few places on Route One though, just in case though. Santa Monica is the first place you’ll drive through, after Malibu. If you’ve only been to Venice Beach on previous trips, it’s definitely worth stopping and – at least – having a walk along the pier, which feels a lot like being on Brighton Pier with all of the rides and attractions! That might be because it’s the oldest pleasure pier on the West Coast. It’s also home to the world’s first solar-powered Ferris Wheel. 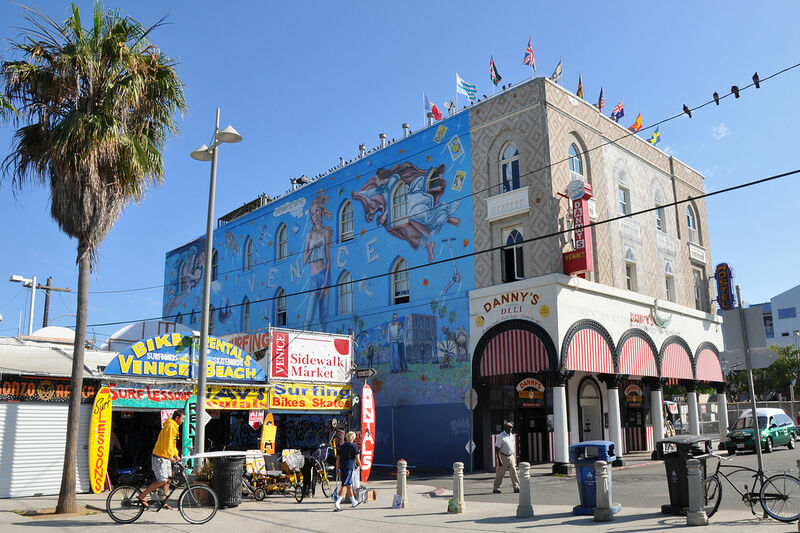 Next up is Venice Beach, which is famous for its lively atmosphere and “interesting” mix of people. You’ve probably already been there, as most people go there on their first trip to LA, but if you haven’t, this is home to Muscle Beach and worth a wander around. Route One moves inland for a while. You’re on normal roads with the rest of LA. Yes, it’s just like being in any city but it’s a good point to stop and think about how the Pacific Coast Highway has changed over the past three days – the places you’ve been, the buildings and people you’ve seen – it’s quite a ride! You soon end up at the airport! And not just driving past LAX, you go under the famous bridge which jumbo jets are casually driving across! After the airport, you’re back on the coastal route and the beach cities of Hermosa and Redondo. This is where we ended up eating our lunch, in the end! 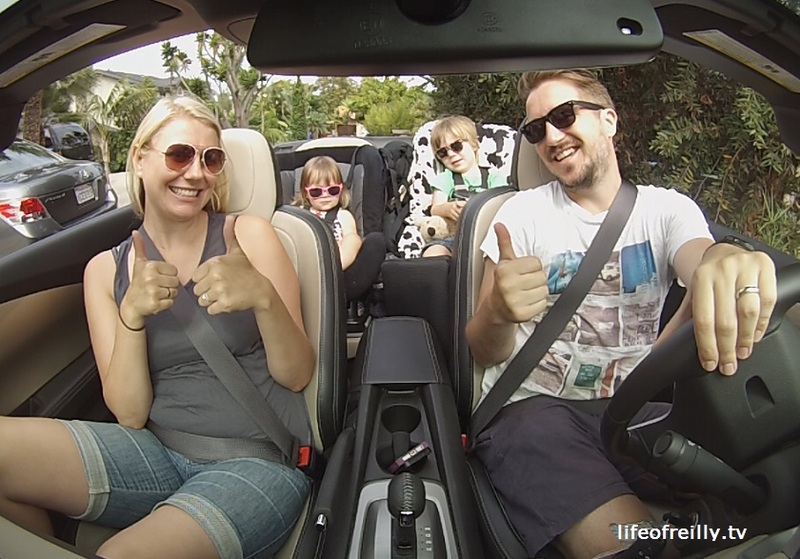 LA driving is always very slow so make sure you try just go with the flow…of the traffic, otherwise you might crash! We left it late. Very late to stop off for food. Please don’t report us to children’s services! The kids woke up near LAX and we knew we had to pull over straight away. We stopped at Hermosa Beach and grabbed a deli sandwich from a supermarket and ate it on the beach. It was nice but not what we’d planned at all! We got back into the car an hour later (3.15pm) and we were faced with a dilemma. It was Alicia’s birthday and we promised to meet all of her family and friends in San Diego for a special dinner. We had to be on time or we’d be really late! We had two options: a) continue along Route One and hope we made it; or b) get onto the motorway and definitely make it back. Option B was the sensible route, which we took, but it might’ve been a mistake!! Rush hour was on its way, and there was an accident, so we crawled for an hour on the freeway before hitting San Diego County and finally picking up some speed. If we’d stayed on Route One, we’d have got to Long Beach half an hour later. We’d then have the beautiful ocean for company, as we made our way through Orange County and on to Dana Point – the official end of Route One – about an hour-and-a-half after that. 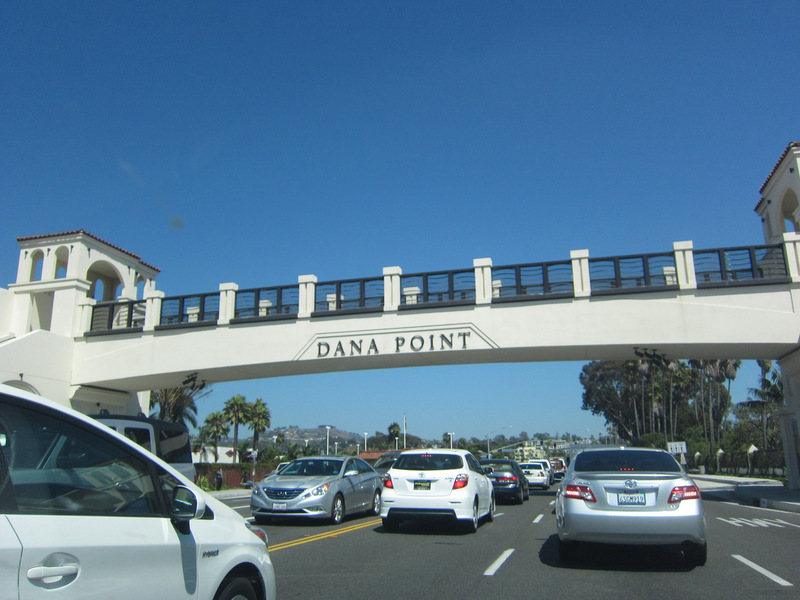 Dana Point is the official start of Highway One! Photo by Dr Warner on Flickr. So, Route One officially finishes at Dana Point but the Historic 101 continues down to San Diego. If you’re going the full stretch, via the Interstate or coastal road, you HAVE to take the motorway (I-5) for 27 miles (25 minutes) at Dana Point. We took the Interstate all the way down to San Diego and got there at exactly 6pm (yay, we weren’t late!) but, the route in our video (uploading soon!) which goes through San Diego County’s beach towns, should work if you left that hour earlier than us. We go back soon to get the exact timings for you, though! 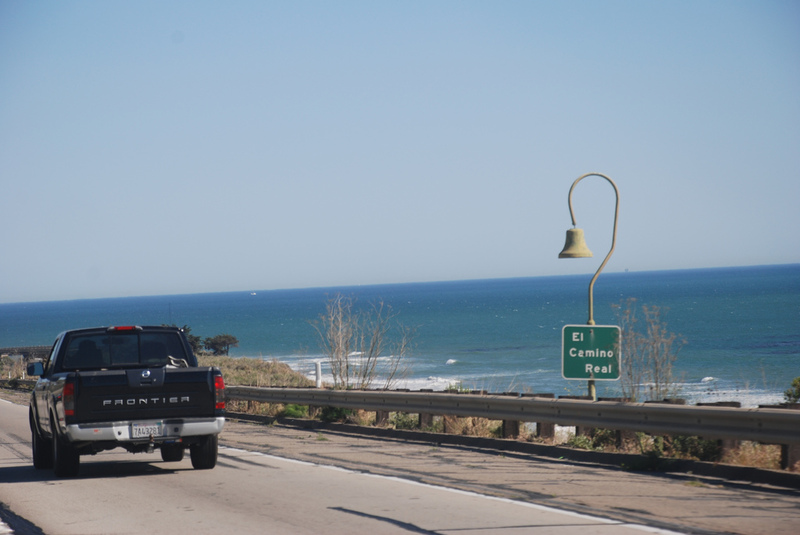 You’ll see signs for the “Coast Highway” again as you approach Oceanside on the freeway. If you stay on the motorway, you’re about 45 minutes from Downtown San Diego but on the 101 it’ll take you twice that. Oceanside will be your first port of call. It has the longest wooden pier (over water) on the West Coast, which has great sea views – and a lovely Ruby’s Diner at the end of it! Just make sure you plan enough time to walk the pier – it’s a half-a-mile round trip! It’s the only house at 102 Pacific Street. This is because the block has been bought by a developer and is due to be turned into a hotel. Fear not, Top Gun fans, they’re going to move the Victorian house to another location while the hotel is built and then place is onto the exact same spot! See it in the original location while you can! The house has been restored and painted (not sure why they didn’t go for the same colours that were in Top Gun) and there’s a fence around it to stop it from being vandalised. But, you can still get photos and pretend to be Tom Cruise, jumping off his Harley! Oceanside wouldn’t have been a place to stop in the 1980s but it’s been regenerated over the past decade with a big new cinema, some great restaurants and bars, plus it’s home to the California Surf Museum. Check out the Craft Beer scene here, too: Stone has an awesome shop with the coolest beer garden I’ve ever been in, and there are also microbreweries at Bagby, Breakwater, the Surfside Tap Room and, of course Oceanside Ale Works, if you want a tour of their brewery. The beautiful sandy beaches continue into Carlsbad. You might come back here for Legoland or the Outlet Village, which has some great brands…and prices. 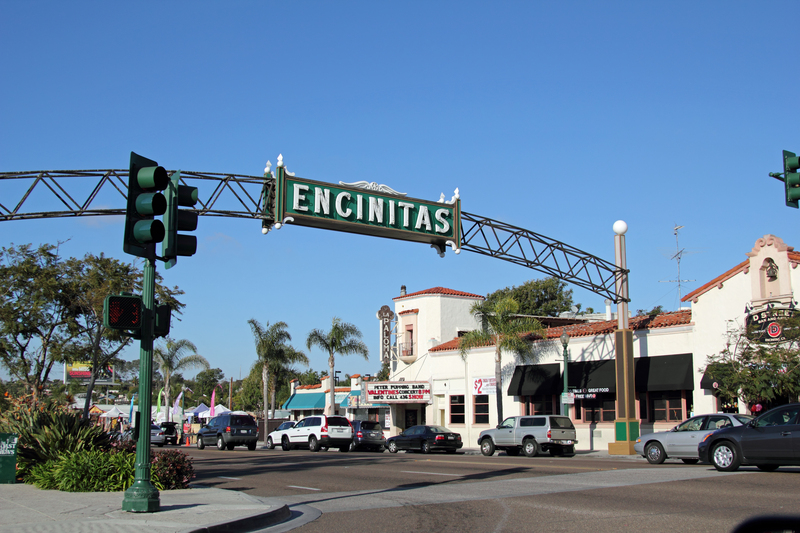 Encinitas is a beach town which is so famous for its surfing, that the Beach Boys name-checked Swami’s Beach, in Surfin’ USA! Away from the rugged and more hidden surf spots is Moonlight Beach which is a family friendly beach with volleyball areas and a park for kids. There are some great places to eat and drink in along the 101, here. The shops are as cool as the residents so it could be a great place for an evening meal without even having to leave the road. Next, the beach towns go very upmarket. Starting with Solana Beach, you’ll then hit Del Mar, which is home to some of San Diego’s richest residents, plus the city’s famous racetrack. It has an old, colonial feel and you can quickly tell from the boutique shops that this isn’t a cheap place to live. When you’re sat next to the ocean, a bit like you were in Big Sur, it means that you’re heading into Torrey Pines State Park – which is, yes, the home of the famous golf course!!! After you pass the PGA course – and check to see if you recognise anyone playing – you’ll descend into La Jolla (pronounced La Hoya, Brits – I called it La Jolly-er for a while!). It’s Spanish for ‘The Jewel’ and it really does feel like a gem when you’re there. This is officially where the signs for the Historic 101 end. 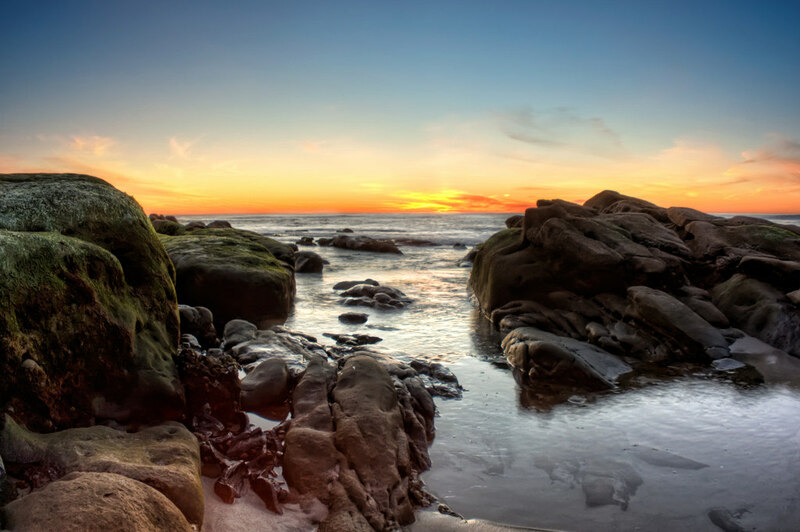 Drive on down to La Jolla Cove where you can watch the sunset with the seals on the rock pools. It’s a perfect place to finish your epic trip. There are loads of restaurants in La Jolla – they’re not all crazily priced – so you can grab some food and a beer – you deserve it! Ok, you’ve made it to La Jolla, which is an awesome part of San Diego to complete the Pacific Coast Highway. But, if you’ve made it in good time and the sun isn’t going to set for another hour, why not go for the big finish? 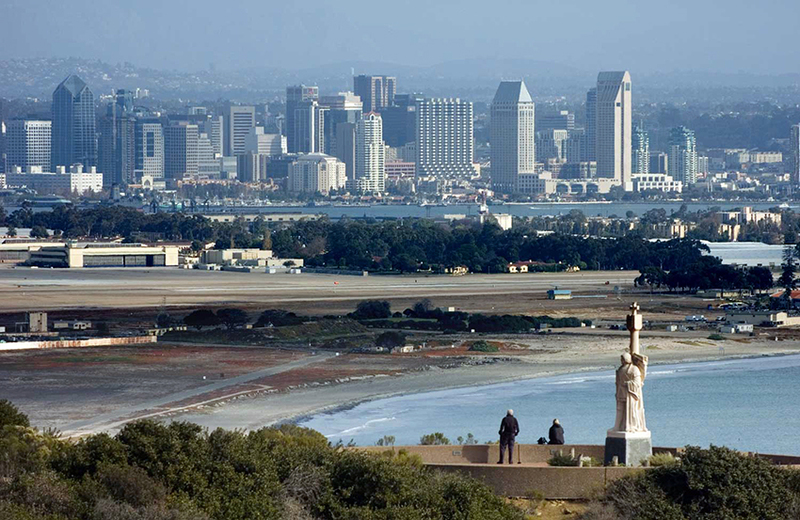 The Cabrillo Monument is one of the southern-most parts of California, with views of San Diego and nearby Mexico! It’s the place where the first Europeans landed on the West Coast of America, back in 1542, so it’s a perfect spot to show that you have conquered California, too! To get there from La Jolla Cove, follow Prospect Street until you can join La Jolla Blvd. 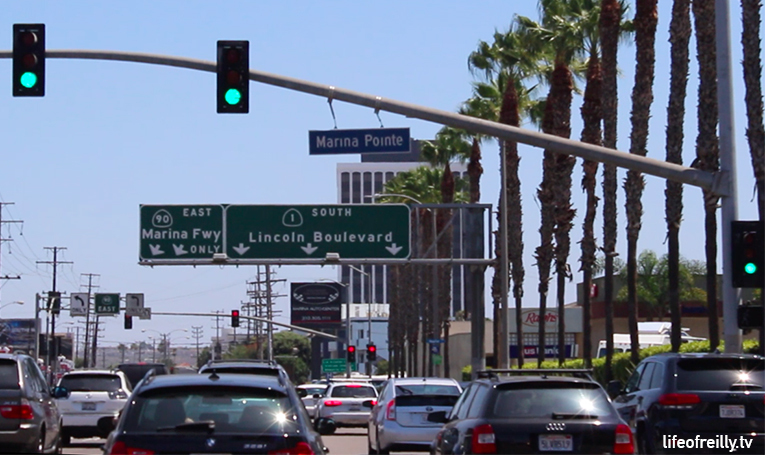 This turns into Mission Blvd and you’ll get a taste of Pacific Beach and Mission Beach. Follow the signs to Ocean Beach and Point Loma. 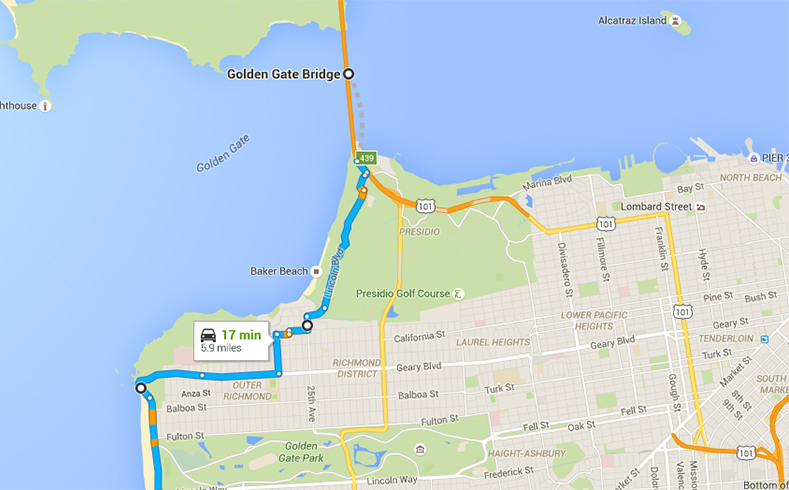 Take Catalina Drive which takes you to the monument. (It’s $10 to get into the National Park site, but the pass works for a week, so you can come back another day to explore properly). Drink in that San Diego sunset with the 360 degree views that are available from the Cabrillo peninsula. ROUTE ONE: DONE, IN STYLE!!!!! 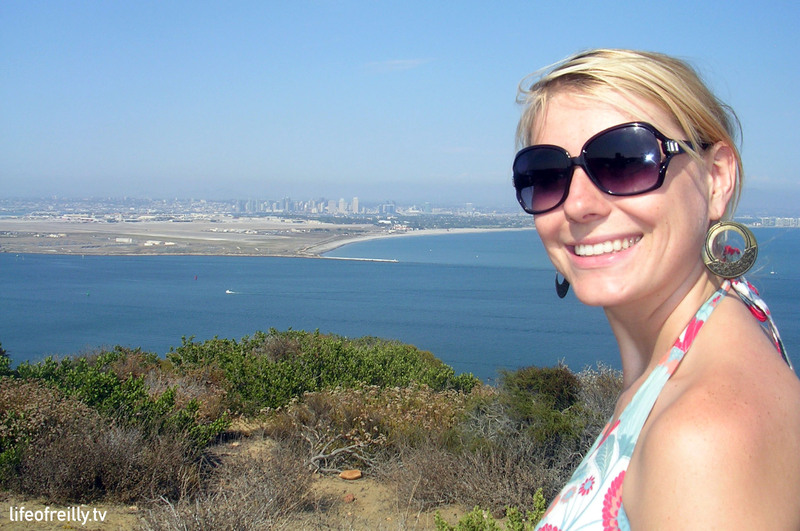 Alicia at the Cabrillo National Monument at one of the most Southern tips of San Diego. 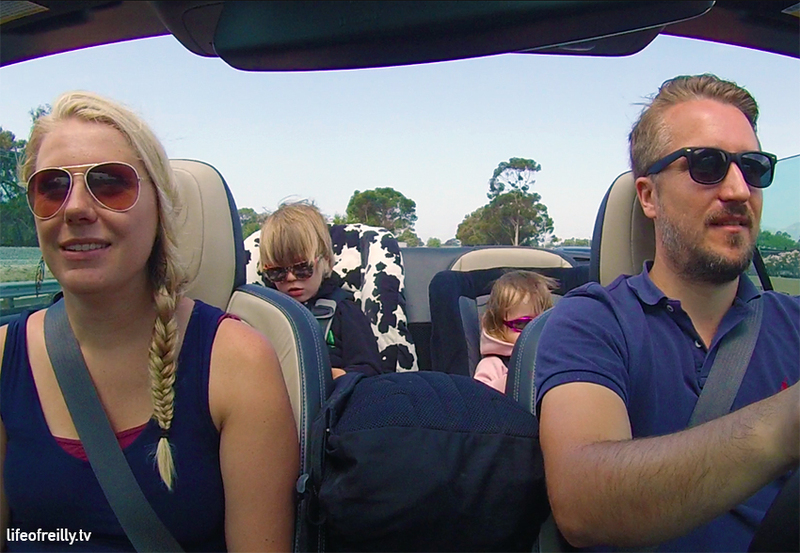 We did the Pacific Coast Highway in three days, with two kids and one red convertible. What would we do differently? Our timings!! We left late every day. Without any children I think we’d have been more to time but if you’re taking little ones, add an extra half an hour to the start time! We would also probably do it over four days, rather than three. 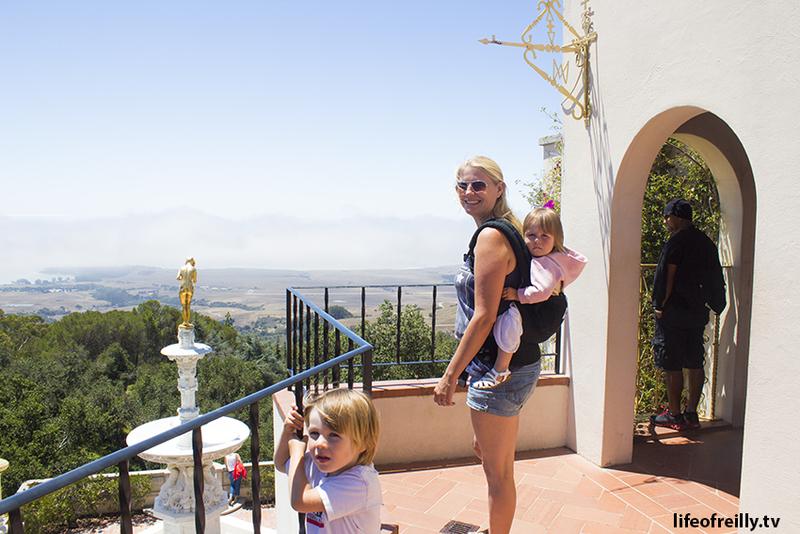 It did feel a bit rushed at times, and we only visited one tourist attraction (Hearst Castle). 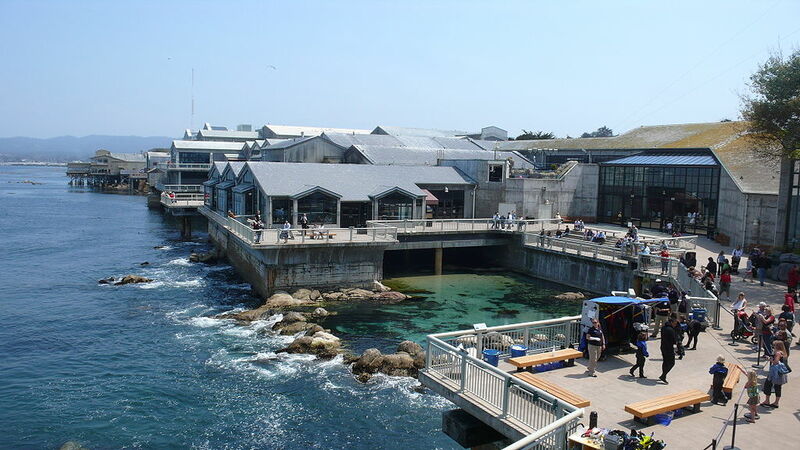 It would also mean that we could start Big Sur earlier in the day and not feel as though we rushed through all of those special scenic spots. (Check out our suggested four-day itinerary at the bottom of this page). It was a trip of a lifetime, and it felt like that. We travelled across such varied landscapes, climates and places where the weather, the atmosphere and people changed with every hour that we travelled. Would we do it again? DEFINITELY! We have lots of family in Northern California, so we will try flying in there and driving down Route One to San Diego again in the next few years. 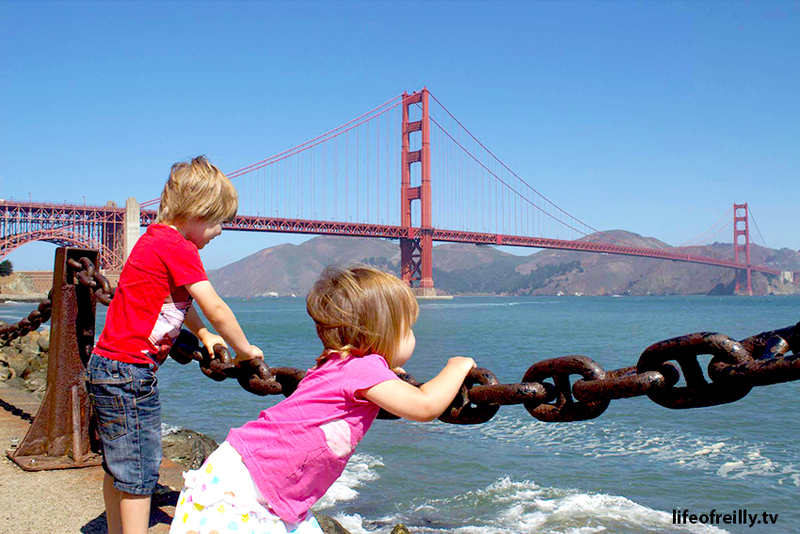 We’d love to know if you drive the Pacific Coast using our itinerary – or use parts of it – for your road trip. Add your views and suggestions in the comments below. We can’t wait to hear from you and hope it helps! We’ve spread our road trip itinerary over three pages, which might not be the handiest way to plan your Route One adventure, so here’s our suggested timings for a three day, and then a four day trip.